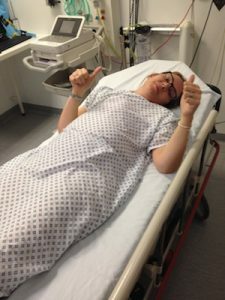 "In 2010, I was diagnosed at the age of 32 with breast cancer and had a mastectomy and lymph node removal.This was followed by radiotherapy and chemotherapy; the nasty stuff that makes you sick and results in hair loss. Unfortunately the following year I found a lump in the other breast, yet the hospital sent me away telling me it was nothing to worry about. When the lump didn't go, I insisted on a biopsy, only to be told that it was cancer again. Around the same time, cancer developed in the skin on the chest, so I was diagnosed as having secondary breast cancer (aka metastatic or advanced cancer). This is literally a death sentence as it is as yet incurable. But just as with other serious illnesses such as HIV, modern drugs are helping extend sufferers' lives." SADLY JANINE LOST HER BRAVE FIGHT WITH CANCER ON 21st JANUARY 2018. SHE PASSED AT HAYWARD HOUSE HOSPICE SURROUNDED BY HER HUSBAND AND FAMILY. This site will be updated shortly, but for now, keep checking those boobies every month! "For the past 5 years I have been receiving modern, targeted drugs, either on the NHS or as part of a drug company's clinical trials. Thankfully they have been very effective at keeping the cancer at bay. UNFORTUNATELY CANCER ADAPTS! 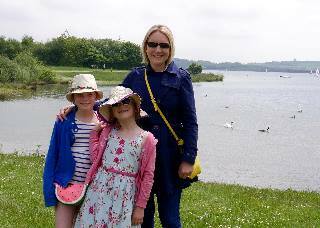 In September 2016, I had a mastectomy of the remaining breast as another tumour had developed. Unfortunately my oncologist has now told me that there are no suitable clinical trials and there are no other HER2 drugs available on the NHS. I am now in the unenviable position of having to pay £2,000 every 3 weeks for a drug called Herceptin that the NHS will not fund. The hope is that this 'combination therapy' will improve the effectiveness of the cancer drug Vinorelbine that the NHS IS funding." Sharing the advice and public resources from other organisations to raise awareness of the importance of self examination...and more importantly to help prompt adults to do so EVERY MONTH, as research has found that people forget! To document my journey and to share my experiences and research so that other people in a similar situation can arm themselves with facts. There will also be lots of fundraising initiatives that you can get involved with. One of the most important lessons I've learnt in my cancer journey so far is to NOT blindly trust or take at face value what the medical professionals tell you. Cancer treatment is NOT black and white. Doctors and oncologists can make the wrong decisions with the best of intentions. Challenging their assumptions might just save your life! Can you help save mine? Either by donating or fundraising.